Leon Trakman has been an arbitrator and mediator since 1979. He received B Comm and LLB degrees at the University of Cape Town and LLM and JSD (Doctorate in the Science of Law) from Harvard Law School. Currently living in Sydney, Australia, Leon Trakman has published 8 books and over 100 articles on contracts, investment, commercial law and international commercial arbitration. He has resolved more than sixty multimillion dollar commercial and inter-governmental disputes. A widely appointed adjudicator under the US-Canada Free Trade Agreement and the NAFTA, Leon Trakman has served on a number of high profile panels, including the controversial Softwood-Lumber dispute (dumping) by appointment of the US, Canadian and Mexican Governments. 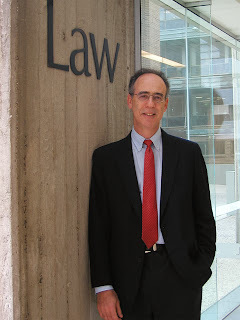 He has been appointed as an arbitrator in four continents such as by the International Center for Dispute Resolution of the American Arbitration Association in the United States, the World Intellectual Property Association in Geneva, and the Hong Kong Centre for International Commercial Arbitration.Leon Trakman has also served as a mediator/conciliator in commercial disputes. To date he has mediated 26 cases that involve domestic and international companies, in addition to disputes involving governmental agencies. Further to his work as an arbitrator and mediator, Leon Trakman regularly provides consulting services to governments in matters related to trade and investment liberalization.